GREATER Western Sydney will return to Friday night footy in 2019, with the AFL's newest side set to host Hawthorn in a blockbuster primetime fixture in Canberra. 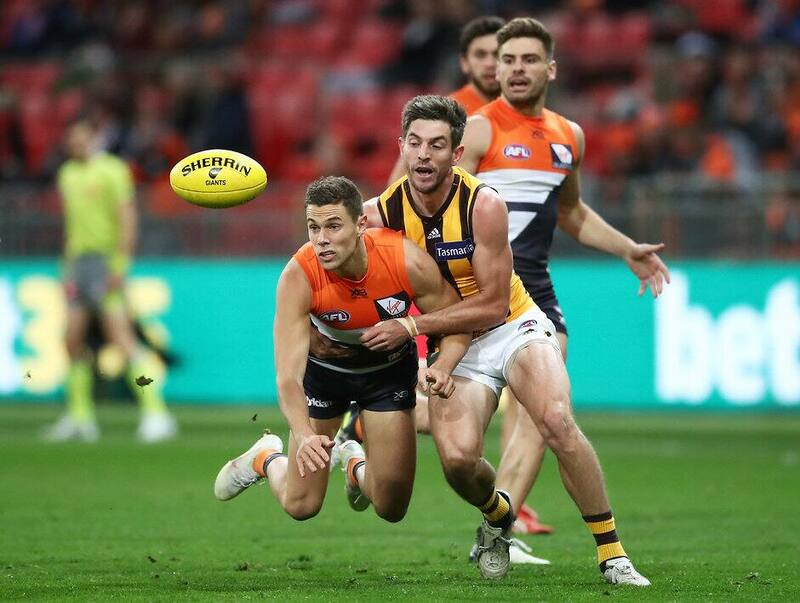 The Giants will continue their agreement to play three matches in the nation's capital next season, with a round 21 clash against the Hawks the pick of the bunch. It will be just the second time GWS has hosted a Friday night game and the fifth time in its history it will feature in the prime time slot. The Giants have played at least three matches in Canberra every year throughout their existence, winning their last nine matches there by an average of more than 42 points. It will be Hawthorn's first trip to Canberra in the club's history. ROUND ONE Who plays who? Meanwhile, the Hawks will host Carlton at University of Tasmania Stadium in round six. It will be just the second time the two sides have met outside of Victoria for premiership points with the Hawks victorious by 19 points in Launceston in 2016.